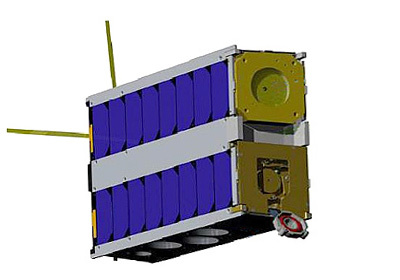 LAICE (Lower Atmosphere/Ionosphere Coupling Experiment) is a 6U cubesat mission for upper atmospheric research designed and built by the department of Aerospace Engineering at the University of Illinois at Urbana-Champaign. To demonstrate a unique magnetic torqueing altitude control system that constrains the satellite in a fixed altitude. To demonstrate and acquire in situ measurements of neutral and ion density properties in the altitude region from 150 to 325 kilometers; and to remotely sense wave parameters between 90 and 100 kilometers as the waves move upward from the lower atmosphere into the ionosphere. The LAICE project hopes to reveal new information about the neutral ion coupling processes in the 150 to 325 kilometer atmospheric region. The phenomenon has led to ionospheric instabilities that disrupt communication and global positioning system (GPS) signals. LAICE - 201x with ?